With over one billion smartphones in use around the world today, and with that number expected to double in the next two years, it's no surprise that one of the biggest frustrations in everyday life is dropped calls. We rely on our cell phones for calling of course, but also messaging, accessing email, searching the web, video chatting, and more. It's our way of staying connected, which is why call dropping, dead zones and poor cell phone reception are so frustrating. In a recent study by the Pew Internet & American Life Project, dropped calls were cited as the biggest complaint by cell phone owners. According to the study, 72% of cellphone owners experienced dropped calls at least occasionally, and 32% experience this at least a few times a week. That's an enormous number of people who are frustrated on a very regular basis. So what causes a cell phone call to drop and is there anything we can do to make that happen less? Let's take a look. There are a number of reasons why a cell phone call might drop, which can be categorized by problems with the carrier, problems in your local environment, and finally problems specifically with your phone. Let's examine each in more depth. A cellular network is composed of many different cellular towers that your phone communicates with in order to make a phone call. Your phone automatically connects to the nearest tower when you're making a call and continues to communicate with that tower as long as it remains the closest one in range. If you're on the move though, whether walking, driving, or other, then you'll likely move out of the range of your closest tower and a handoff will occur to move your call to the new closest tower. Most of the time this handoff will occur without a problem, but occasionally there will be a complication resulting in your call dropped during the handoff. That complication could be due to extreme cell traffic on either one of the towers, glitches in the backend software, power outages, and more. These are all problems on the side of the carrier, and while an inconvenience, you're usually able to make your call again without problem. Another common reason for call dropping is when you encounter an area with no reception, known as a "dead zone". Dead zones exist for a few different reasons. In remote areas, there are wide swaths of dead zone where there is no coverage available from cell towers because there are very few inhabitants or travelers. Desert areas are a great example of an environment where you'll find a large number of dead zones. In more populated areas, dead zones can still exist due to improperly aligned towers, which result in areas not receiving proper coverage, as well as in locations which are obstructed by obstacles like hills, mountains, trees, large buildings, etc. Finally, dead zones are frequently found underground, such as in subway lines, basements, and parking garages. Apart from dead zones, your local environment can have an effect on dropped calls too. The main cause of bad reception in your local area is most likely the type of construction materials used in your home or office. Materials like wire mesh, sheet metal, types of insulation, reinforced concrete, and more all contribute to signal degradation and loss. If a digital cell phone signal becomes too degraded and enough data is lost in transit, then there is a high likelihood that the connection will be terminated and the call dropped, even if your phone shows that it still has a bar of signal. Finally, your cell phone itself can be the cause for dropped calls. If your cell phone has a damaged antenna, you may experience poor cell phone reception, data loss and frequent dropped calls. Call dropping and other problems can also occur if your phone's roaming software has not been updated recently or if it has been corrupted in any way. Finally, a cell phone requires a quality power supply to maintain a stable connection during a call, so if your battery is running out, the likelihood of a dropped call is also increased. Overall, there are a number of factors related to location that are out of your hands which affect dropped calls, but there are also some that are within your power to change. In the next section, we'll cover how to solve the problems that you have control over to decrease the number of dropped calls that you experience. If you're typically experiencing dropped calls while inside of your home or office, and you have a good cell phone signal outside of the building, then odds are your problem is related to the materials used to construct the building. 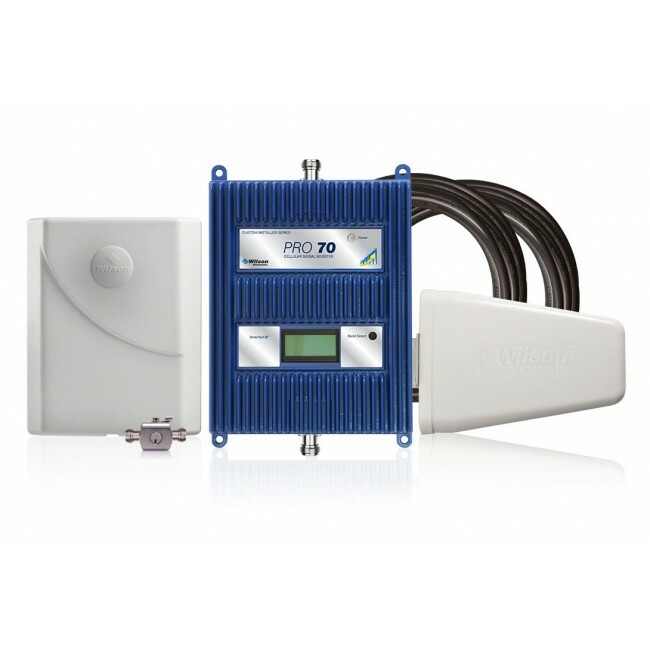 For this situation, a cell phone signal booster is going to be your best bet for increasing the cell phone signal inside the building and reducing or eliminating the number of dropped calls. 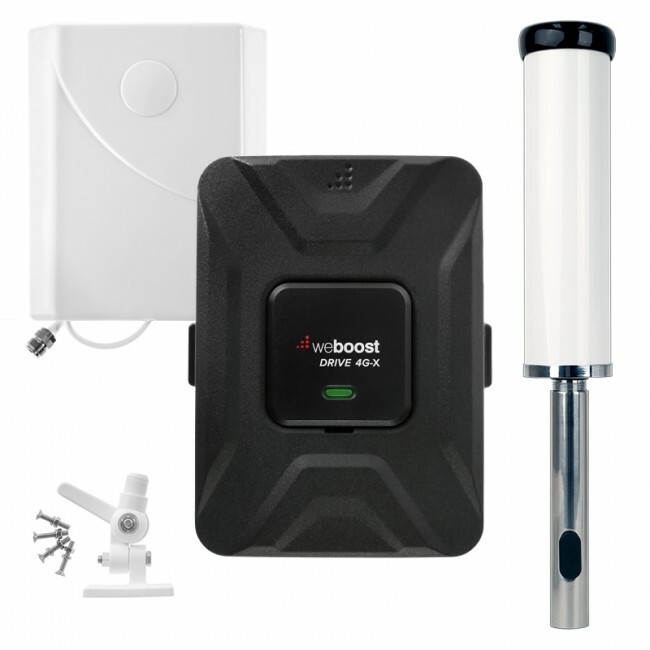 A cell phone signal booster is a system which takes a good cell phone signal, which is usually found outside the building, amplifies it and then retransmits it to an area which is receiving little or no signal. The system basically bypasses the cause of the poor reception and provides amplified signal to the area in need. The one constraint for using a cell phone signal booster is that you must be able to place an antenna in an area which has a good signal. If you live or work in an area which has spotty or non-existent signal, then a cell phone signal booster will not be able to help you. 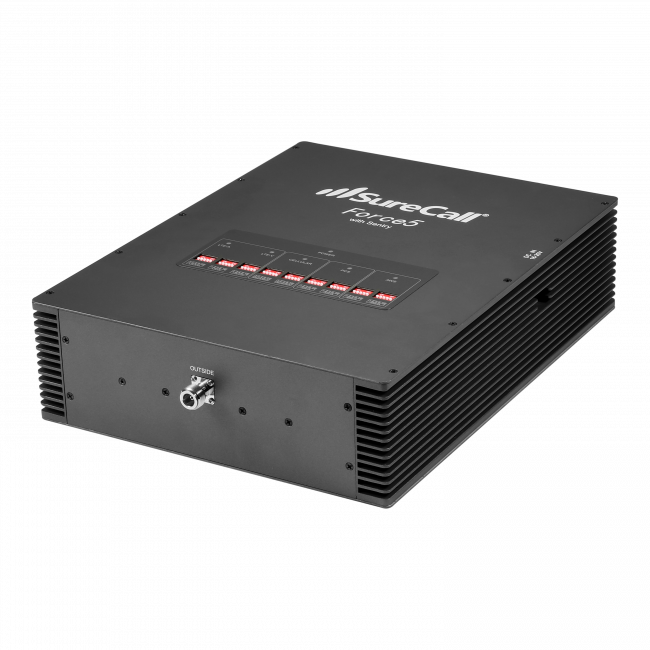 Read our cell phone signal booster guide to find out more about cell phone signal boosters or you can use our product selector wizard below to find the right signal booster solution for your situation. 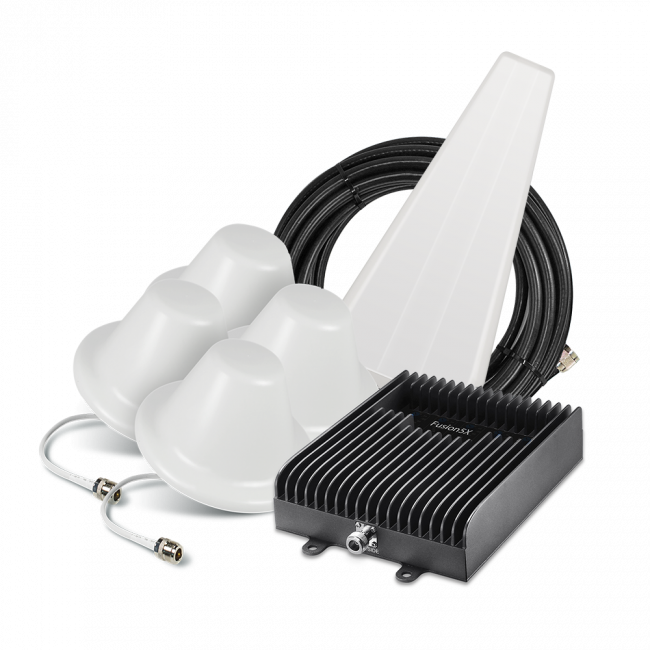 You can also browse our bestsellers, signal boosters for businesses, signal boosters for homes, or signal boosters for cars, trucks, RVs and boats. If you routinely have dropped calls, but other people near you with the same carrier do not, then it's very likely that your cell phone is the cause. Your best option is to contact your carrier and find out the closest location where you can take it in for diagnostics and servicing. They'll be able to test whether you have a bad antenna, software or if it's some other problem. A dropped call can be an extremely frustrating experience for anyone, especially if you're on an important call or have spent time waiting on hold. With a little understanding of what causes dropped calls, you can diagnose what the probable reason for the dropped call is and whether there are solutions available to prevent future dropped calls from taking place. If you have any questions about poor cell phone reception and whether a signal booster is right for you, please do not hesitate to contact us or call us at 800-590-3564 and we'll be happy to help. The Most Common reasons of a Call drop? 6. Electric & Mechanic tilts. 12.Phone may go out of range. Yes.. we are in a dead zone. But why sitting at my table in the house on a clear day does it come and go? Sometimes fast sometimes taking hours to send a txt. I have a new Samsung 4g thru Verizon. Thank you! Signal strength can vary for a number of different reasons, so it's difficult to pinpoint exactly which one is affecting you. Please feel free to contact us at support@ubersignal.com or call us at 800.590.3564 if you'd like to discuss your situation in more depth and explore signal booster options. If we did not get power full Mobil tower range same rural place, any solution fore this problem ? Unfortunately, our signal boosters will not work in Kuwait. I'm sorry I can't be of any help.